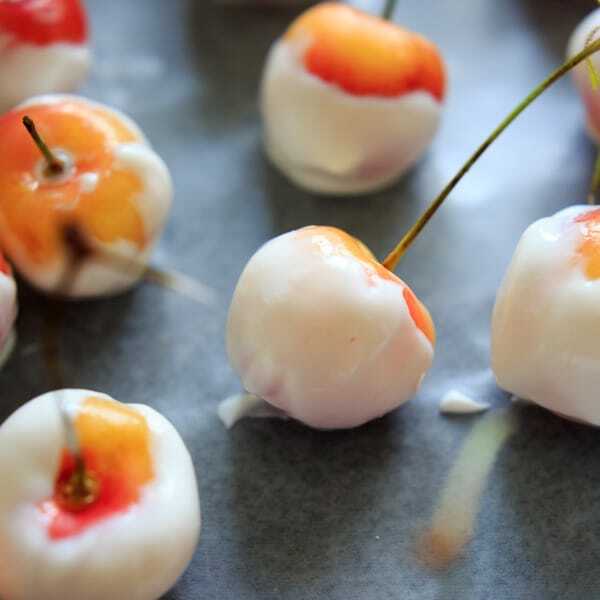 Greek Yogurt Covered Cherries are a refreshing and healthy frozen treat. You can get creative with toppings to make them extra festive! 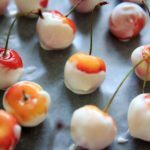 An instagram post from How Sweet Eats a while back gave me the idea to freeze them after covering them up in yogurt. If I could find the post I would, but I just get lost in all her beautiful pictures trying to find it. Food photography goals. Either way, this recipe is super easy. 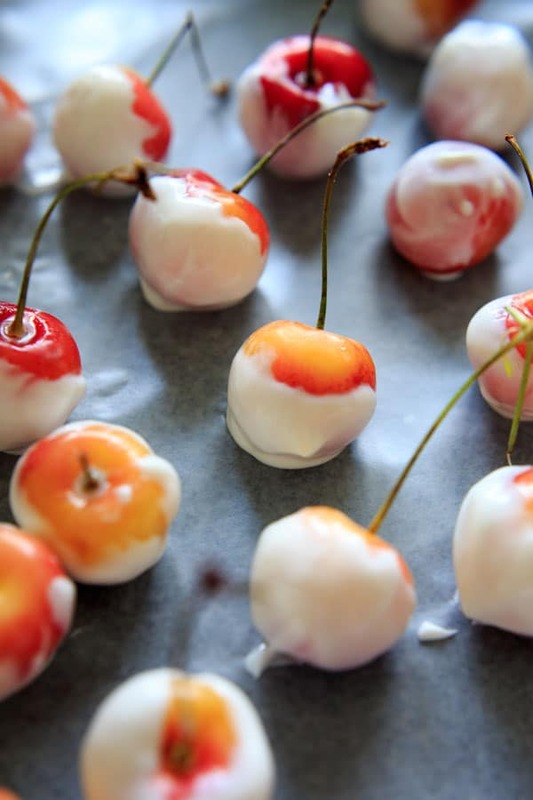 Dip your cherries in some greek yogurt, and lay them out on some wax paper. I used plain yogurt, with a little bit of homemade vanilla extract mixed in. Or you can just buy vanilla greek yogurt which will be a bit sweeter. 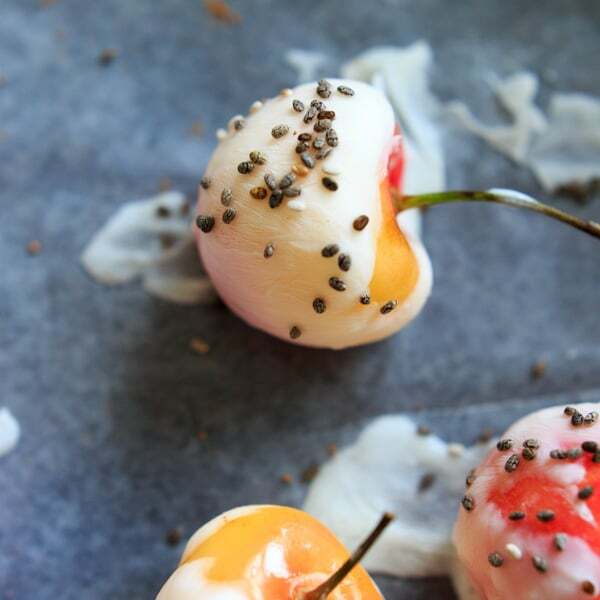 Top with some chia seeds for extra healthy benefits, or get creative with your topping choice. Then freeze! It should only take 30 minutes or so for the yogurt to harden. I liked them covered in chia seeds. I did get creative with some other toppings myself and let me just say I don’t recommend using (unsweetened) cacao powder as a topping. 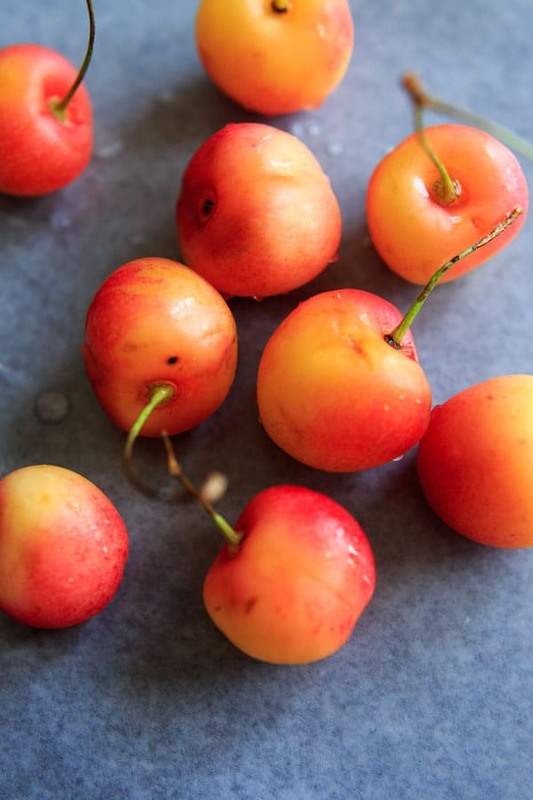 No cherry is sweet enough to overpower that. Line a baking sheet or flat surface with wax paper. 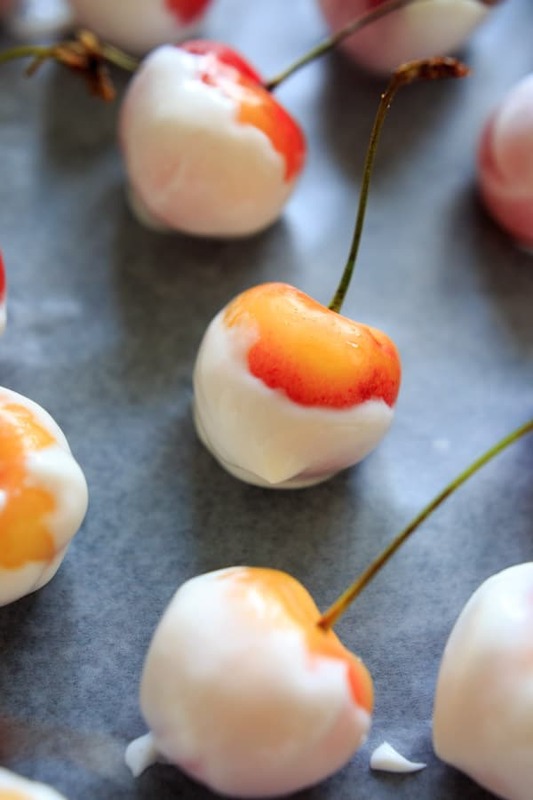 Mix the yogurt and vanilla extract together in a small bowl, and dip the cherries in one by one. Place on wax paper and top with chia seeds if using. Freeze until hardened, about 30 minutes. Don't forget about the pits! Can also use vanilla greek yogurt instead of adding vanilla extract to plain.